﻿ The Unity Patong Private Apartment, Phuket | FROM $35 - SAVE ON AGODA! 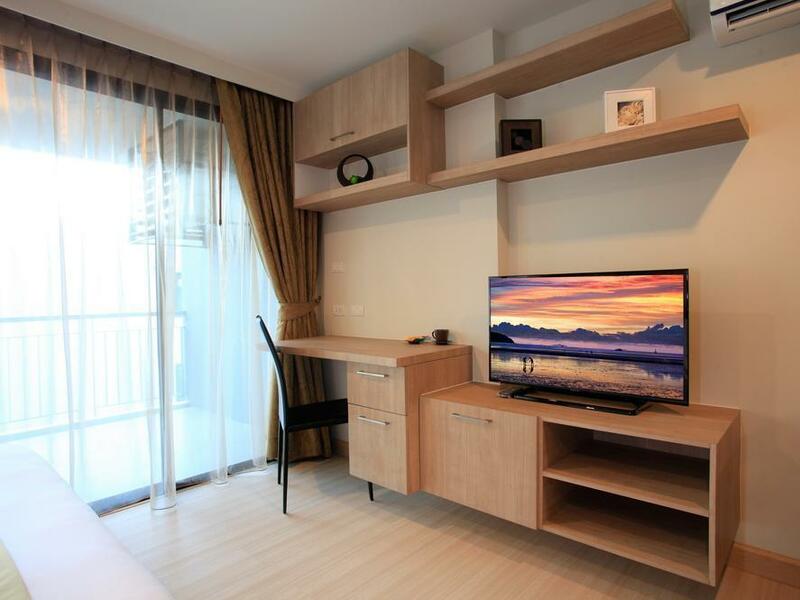 "The hotel is located closed to Patong Beach And main shoppin..."
Have a question for The Unity Patong Private Apartment? "Apartment is spacious and clean." "Kitchen is amazing you have all the things arranged same as like your home." "Air Co n was good." "Will come back again soon!" 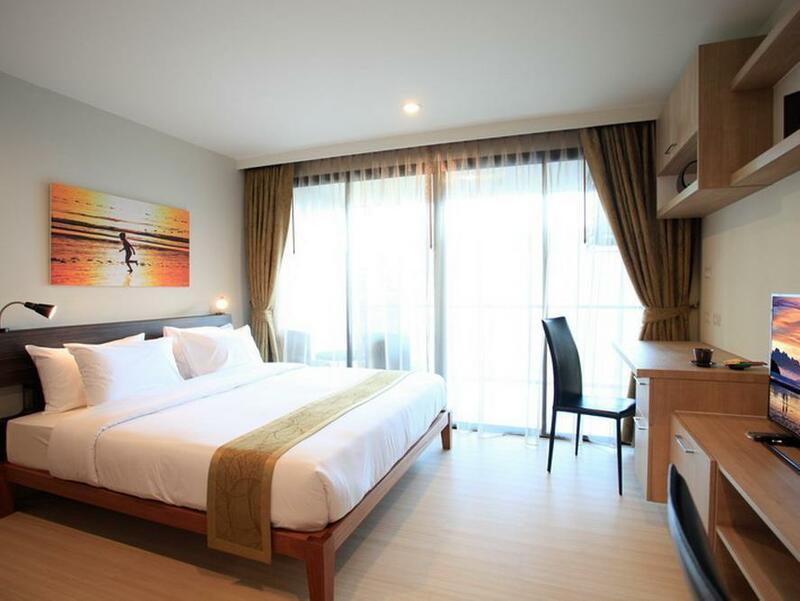 Treat your family to a deluxe and memorable vacation at this 4.5-star apartment in Patong, Phuket. 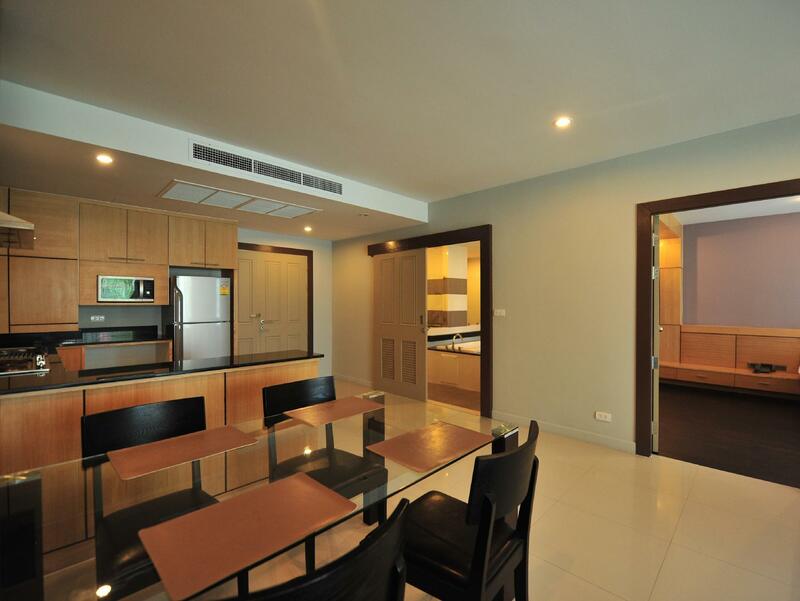 Situated just 6.7 km from the city center, the apartment is bound to be close to all you want to experience in Phuket. With nature and garden views available, it has striking scenery. It is close to Pa Tong Mosque, Chabad House Phuket, Mister Singh Fashion Gallery Tailor, Wat Suan Khiri Wong, and Wat Suwankeereewong. The apartment has several convenient features, such as a fireplace, safety deposit boxes, as well as a smoking area. Featuring a fitness center, a garden, and an outdoor swimming pool, it has everything you may need to make your stay as comfortable as can be. It offers family rooms, so your entire family has adequate space to hang out together. This apartment has a kids swimming pool, so your children can enjoy playing water games without bothering other guests. 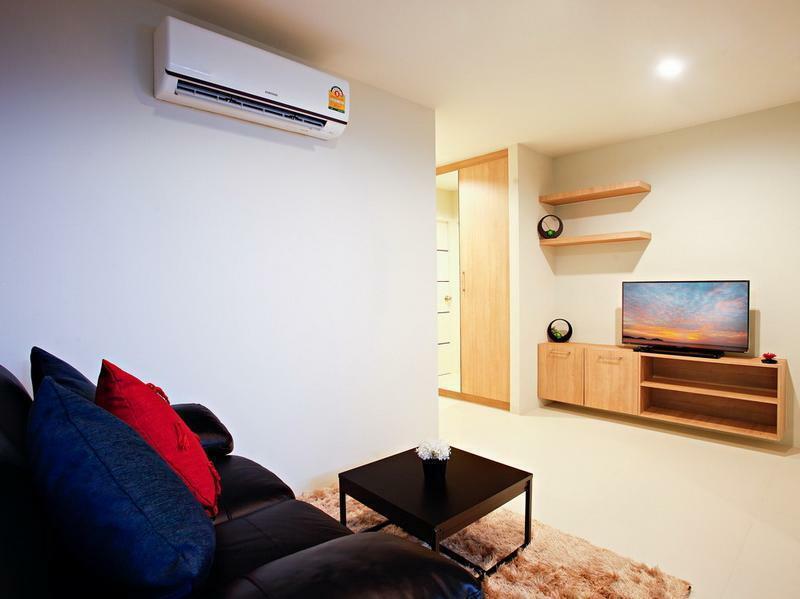 This apartment has air conditioning, an in-room safe box, a seating area, and a coffee or tea maker. It also has a kitchenette, a shower, a desk, a microwave, and more. There's free Wi-Fi available in all rooms, as well as Wi-Fi in common areas, allowing you to stay connected to your friends and family back home without overspending on data and roaming costs. Providing around-the-clock front desk services, this apartment ensures that there is always a staff member on call to assist you with any questions at any time. It provides a range of transport options, such as airport transfers, taxi services, and shuttle services. Phuket Bus Terminal 2 is 10.4 km away. The nearest airports are Phuket International Airport (HKT) and Krabi International Airport (KBV), which are located 22.4 km and 77.5 km away. The apartment offers a 24-hour check in and check out service, so you can head straight to the apartment after a long, late-night or early morning flight and pick up the keys right away. "Property is amazing with all the facilities." Housekeeping is done every 3 days. Linens will be changed every 3 days. An additional charge will be required for use of the dry cleaning and laundry service. The room is good. very wide and clean. we used kitchen also. It is a little far from Patong beach to walk. I rent a motorbike and go to Patong beach. The drive way to the hotel is short but very steepy. It was very clean and spacious. Wi fi worked. Air Co n was good. Lovely bathrooms. Manager spoke sufficient English. Away from bangla which was 20 min walk. Close enough to beach. Price good value. I extended my stay. Staff was very accommodating....the room was equipped with complete cooking utensils-we were able to prepare and cook our food....internet service was excellent.... The problem was the parking space - only limited! But I still highly recommend this place... I probably come back! It was a very relaxing and enjoyable stay. 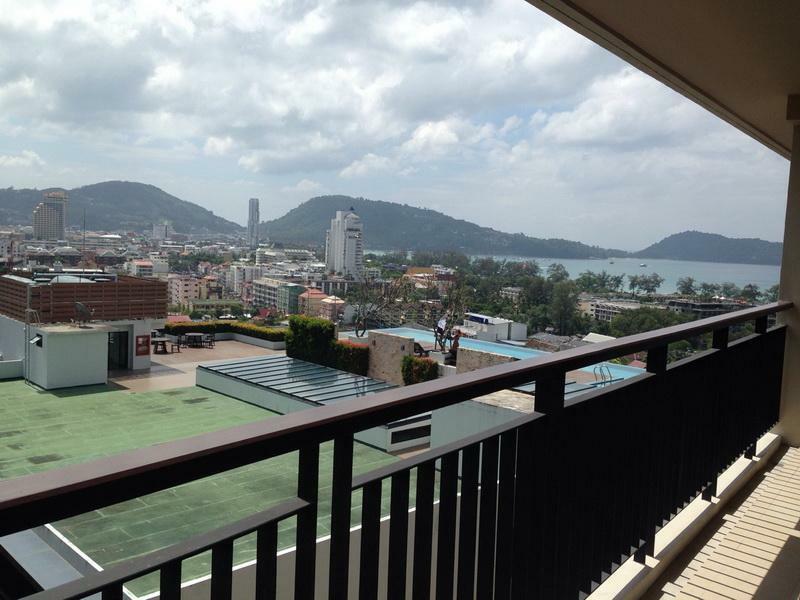 Roof top : you can view the sea and some parts of Patong. For Muslim, very good to stay here as halal food easy to get, just down the main road.Only thing that distract me was the smell of the bath room. Just could not figure where the bad smell came from. Hotel is very clean, very big and very good service.. 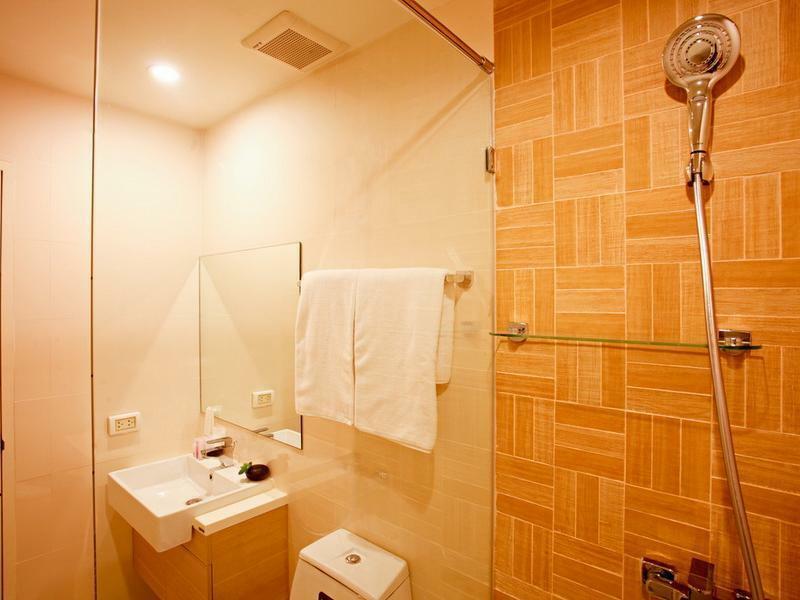 The hotel is very big and the toilet is very very big and is very clean. Definitely the hotel apartment I'll only consider for my next Phuket Trip. Staff is very friendly.. I was allow to check in early and check out late from the friendly staff! Main problem of hotel is on hill which was very irritating for hotel guest .hotel building is new rooms r good pool is good view from sueit room and pool is awesome.checkin and checkout is big problem in hotel there r is only one staff for check-in no staff for luggage u should self manage for all this .I only saw two staff one lady on reception which was helpful and one man on gate.i stay here 3 night .there is no staff assisting for guests and they have weared rule of cleaning rooms in 1 time in 3days.building , rooms and pool are great but without services and staff make difficult for hotel guest and climbing hill every time make more difficult.reception room is far away from hotel building. all thinking's is good in hotel property but without staff all's vain if management take good steps for Room services and staff this hotel may one of the good hotel in Phuket . All good! Accept the frequent blackouts! Other than that superb location to find halal food bcz it’s just infront on nurul islam mosque. Thank you to mr Ibrahim & his staff for the pleasant customer service & help in car rental! Will come back again soon! It was a good stay. Apartment was nice, it had all I needed plus the internet was great and fast, and so was the cable TV. Apart from some spots, the room was fairly clean and they came I. To clean and give us new towels at after 3 day’s stay. No view in the room but it was quite comfortable and had enough light. The bead was softer than other hotels we’d stayed in but aircon in the room made a lot of noise... wired noise. The pool was great and with an incredible view. I enjoyed the stay and staff was helpful and trust worthy. I forgot to ask for my deposit back when I finished and they came after me to give it to me. The only thing I would really fault with this hotel was the hill to get to the hotel. City taxis charged 50-100 Bart more just to go up the hill to drop us off. (And that is because we speak a bit of Thai... it could be worse if you don’t speak and can’t bargain with them). And going up and down with a bike made me a little nervous. It’s a Streep hill. There is a bike hire shop 100 meter from the hotel if you want to hire a bike (motorbike). But overall I really like it and my husband loved it. I stay here everytime I am in Patong. Won't stay anywhere else. Swimming pool is nice and open late Location is great: Not too far from the great places but still in a calm neighborhood for a good night Staff is nice Just the check in can be complicated at late night (example 4am). Actually you'll have to talk to the security staff of the parking, they will have the key for you, there is no receptionist late at night. I was not really at "the Unity" but at "the Bliss" which is a similar building behind and same swimming pool on the roof top. Cannot fault this place in any way, staff go over and beyond in their hospitality, beautiful views from the relaxing infinity pool upstairs. Away from the busy areas but only a ten minute walk to beach and shops. Highly recommended will come back again! We lived for 2 nights. And we were assigned to the room without garden in building 2. We thought that the swimming pool in building 1 is better than the one in building 2 because when we swam in building 2 we could see the swimming pool in building 1 may have a better view than the building 2. Rooftop pool is absolutely amazing. The apartment itself was very spacious. Was caught off guard when they asked for a 2000 baht security deposit. We said this was not specified anywhere in the reservation so it was fine we did not have to give that but 2000 baht is a lot for a deposit. Otherwise all in all great experience here. Takes about 15-20 minutes to walk to the main street bangla road but is close to the beach and there are many shops and restaurants along the way to occupy your time as you walk. Highly recommended. Very close to the beach, please note that there's a road at the back of the hotel to the beach, its not very noticeable. its very clean and the staff is friendly too. At the reception, the staff slightly busy, so on the first day, it looks like they weren't that friendly. Probably that can be improved bit. But, after that they were all good. There isn't wifi available in the room. That's very no no for a hotel like this. it should be provided free for guests. The rooftop bar was empty, but the drinks are very cheap, the views are okays, nothing special. Apart from that all good, I would highly recommend this to anyone who need a hotel near by Patong beach. 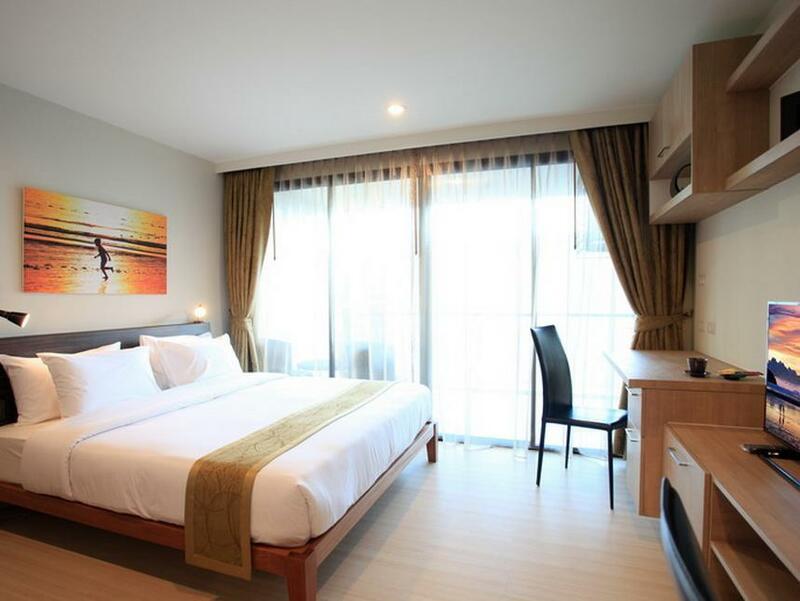 Unity patong is located just 7 minutes away from phuket famous hub bangla road. Property is amazing with all the facilities. Kitchen is amazing you have all the things arranged same as like your home. Only thing you need to get is the stuffs that yu want to cook. Washing machine is available . Big balcony to beautiful beach view (not all the rooms ).glass wall bathroom with a decent tub and toiletries . And the rooftop pool is amazing with a beathtaking beach view. Bike for rent and super market is available just in front of the property . I can say the room was very comfy and great view. The location quite near to bangla road, but be prepared to climb the steep road since most public transport there will refuse to drop u at the lobby. Bad thing, I am very disappointed with the management when they said there will be no cleaning service for the 4 days stayed. We asked for broom, didn't get it till the end. Perhaps the management will do something to improve their service. Vey comfortable to stay here. Got swimming pool on the rooftop. We can see sunset from up there. Really nice view. Staff is very good n vey helpful. For those who love to cook during travel , this is the best place. Its provide complete equipment for cooking.But just one thing, it has no iron . Patong beach is a bit far from the hotel , but we can rent bikes near the hotel.